I focus on the importance of ecological interactions in the context of evolution. Specifically: how does a species’ phenotype affect its interactions with the surrounding environment, and how do these surroundings affect its course of evolution? I use young, dynamic ecosystems and their inhabitants as the settings and subjects of my work. For my postdoctoral research, I am further studying how climate change affects eco-evolutionary dynamics. Drought, warming, and increasingly variable weather conditions can drastically alter both the ecology and evolution of organisms on short time scales. To study ecological and evolutionary responses to climate change, I use local estuarine species that are increasingly subject to extreme variability in their habitat. I am an aquatic ecologist whose research integrates across scales from individuals to communities to understand how lake ecosystems will respond to a changing climate. I am interested in incorporating eco-evolutionary and spatial dynamics into studies of climate change. During my postdoctoral research, I am investigating how thermal adaptation within populations scales up to influence community and ecosystem variables. I am population geneticist who is interested in the genetic consequences of geographic isolation and secondary contact on the continuum from populations to species. By combining genetic techniques with ecological questions I assess human impacts on species found in multiple environments such as anadromous fishes. 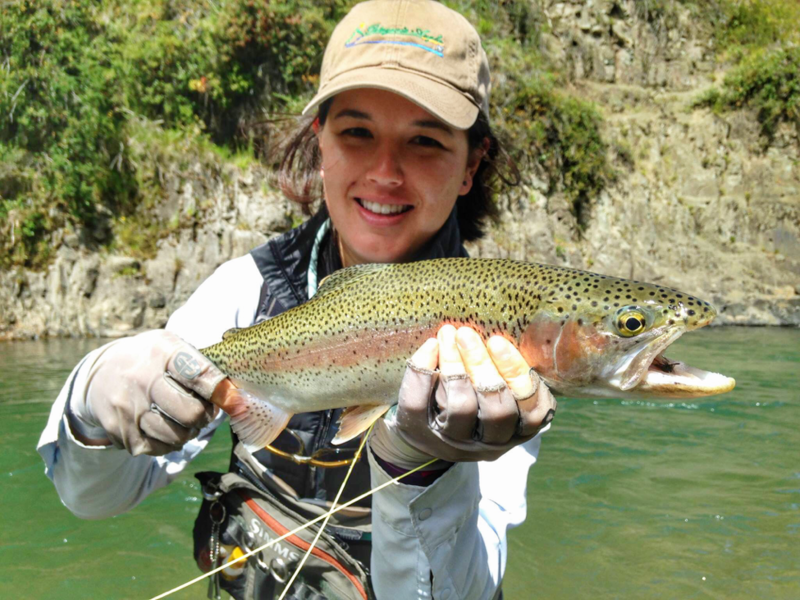 More specifically, my postdoctoral research focuses on several research aims related to anadromous fish conservation. These include describing range wide population genetic structure, assessing the impacts of harvest on non-target fisheries and evaluating the genetic consequences of isolation and secondary contact between ancestral and human-induced life-history forms. 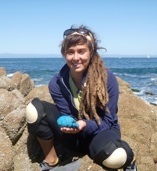 Gina is interested in eco-evolutionary dynamics in marine ecosystems, particularly as these systems respond to human stressors such as fisheries harvest and climate change. Maya is interested in how diversity in life history patterns can buffer populations against environmental variation and disturbances. Specifically, she uses otoliths to reconstruct juvenile salmon emigration patterns and habitat-specific growth in order to understand how these factors impact long-term survival. Travis is interested in how environmental factors impact the ecology and evolution of salmonid populations. 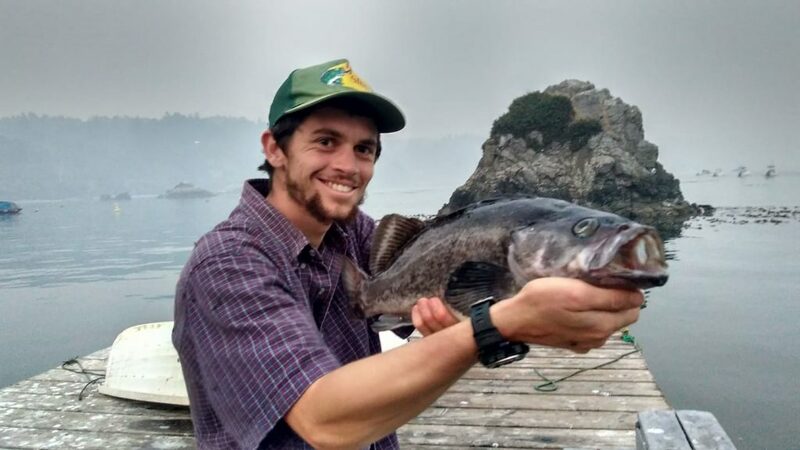 He is working to identify environmental drivers of anadromy and freshwater residency in Coastal California steelhead trout. He is also interested in the impacts of anthropogenic disturbances including climate change on the ecology, evolution, and conservation of freshwater, estuarine, and anadromous fishes. Ben is interested in contemporary evolution as an ecological process. He studies the reciprocal interaction between ecological and evolutionary processes and is interested in the management implications of such eco-evolutionary dynamics. Megan is interested in how habitat can mediate predator-prey interactions between nonnative predators and native prey. 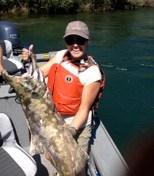 She examines behavioral interactions between piscivores and juvenile salmon in California’s Central Valley. 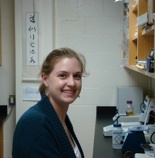 Katie is interested in how contemporary evolution influences ecology, particularly in freshwater systems. 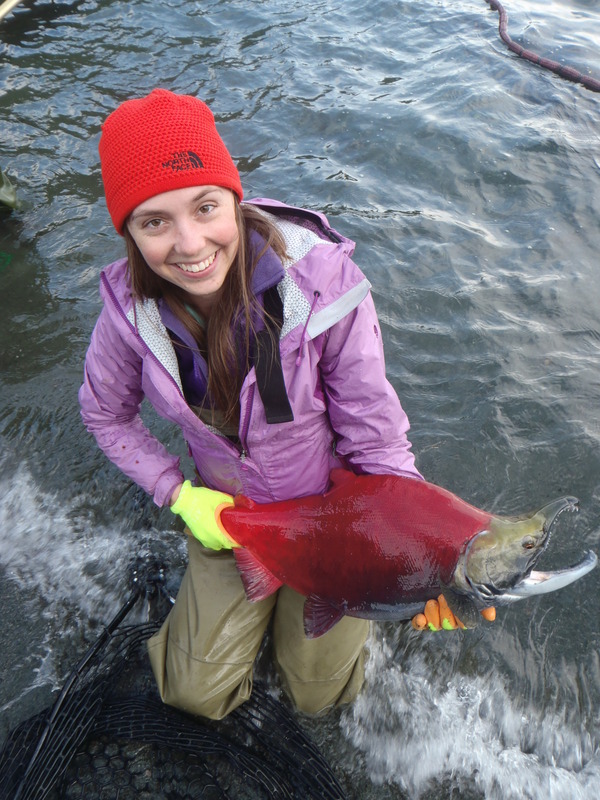 She uses Pacific salmonid systems in coastal California and Alaska to ask how salmonid life history evolution shapes food web dynamics and ecosystem function. 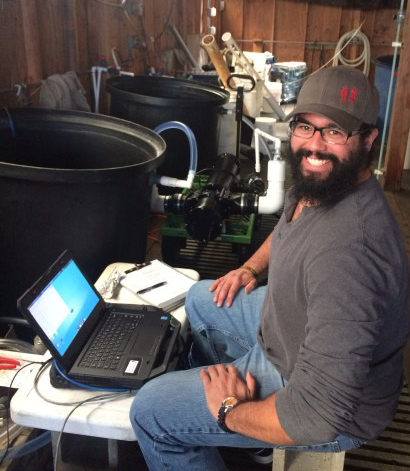 Nick has been developing protocols for the field deployment of a prototype next-generation camera technology to autonomously quantify abundance and diversity of drifting macroinvertebrate communities within various capacities of lotic ecosystems. Katie is interested in how organisms associate with habitat and how these relationships change across space and time, and with human disturbance. 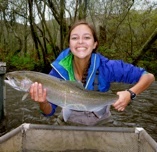 Her Master’s thesis focused on Chinook salmon inhabiting the dynamic river continuum. 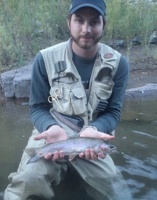 Dan’s research focuses on the evolutionary biology, molecular ecology, and conservation of anadromous fishes. 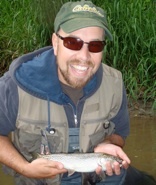 As a postdoctoral researcher, he worked on the conservation and management of anadromous alewife and blueback herring. 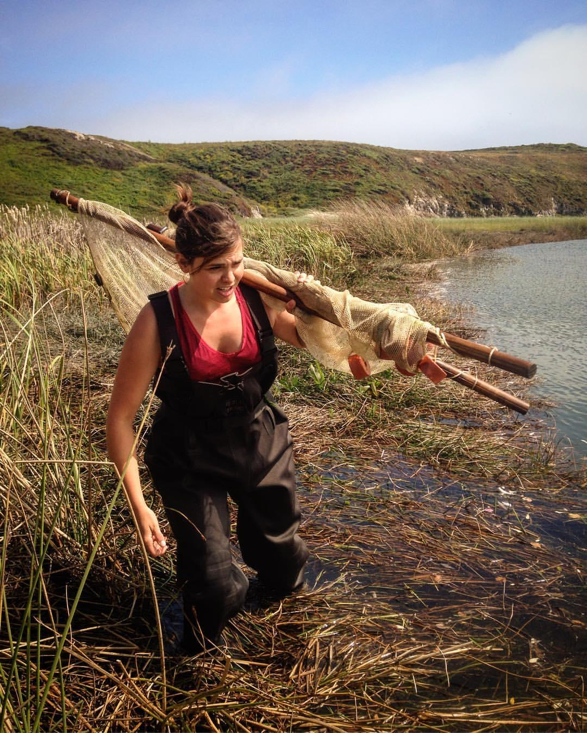 As a research technician, Emily worked on the population genetics and conservation of anadromous alewife and blueback herring. 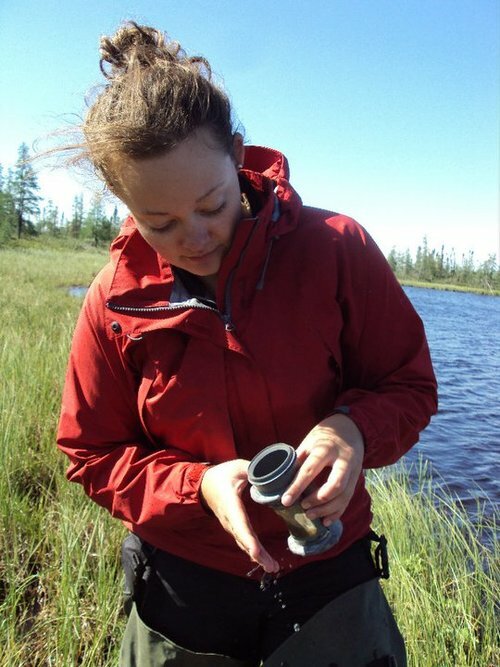 In 2016 Emily earned a Master’s in Environmental Conservation from the University of Massachusetts-Amherst working on the biological and social issues related to freshwater sustainability. Liam is interested in the ecology and evolution of sturgeon, particularly green sturgeon. 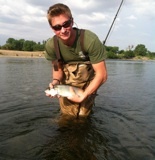 He is currently focused on the impact of Sacramento River temperature management on allometric growth of larval fish. 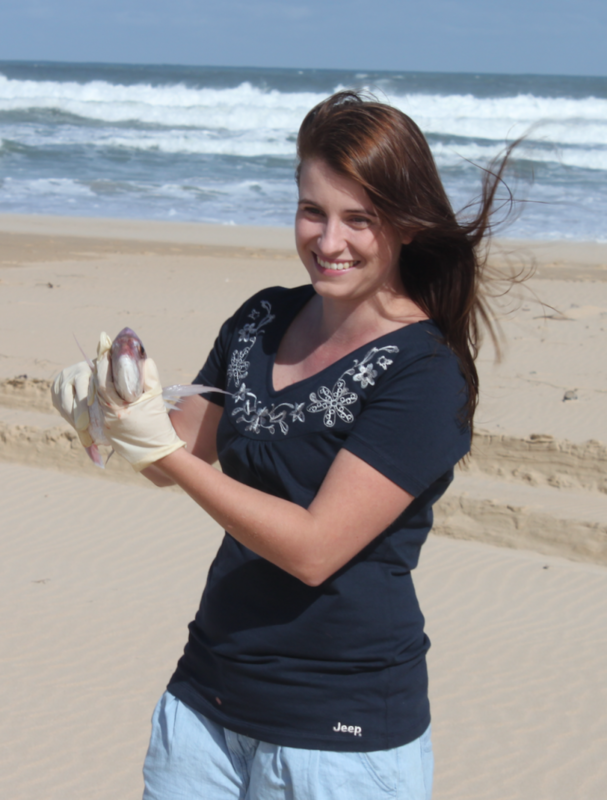 Rebecca is interested in how predator experience can shape future predator – prey interactions with a focus on freshwater systems. 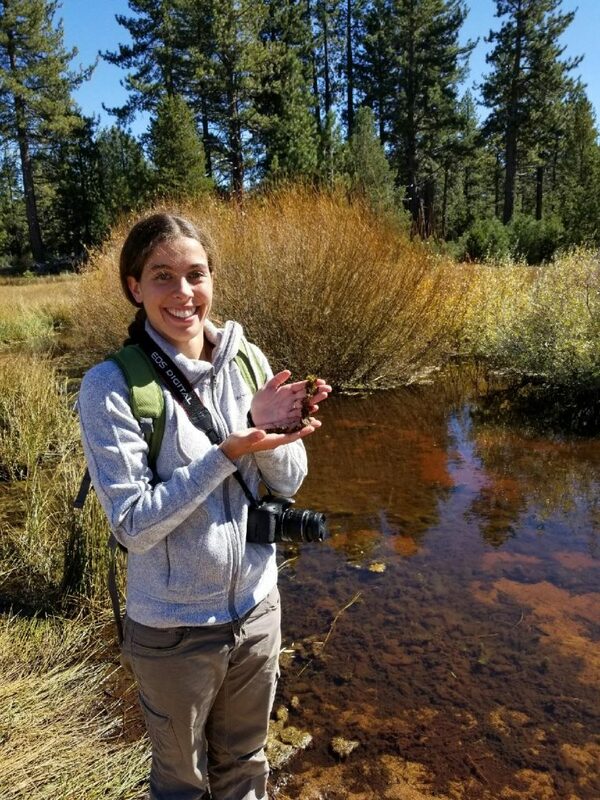 She uses mosquitofish from different predator backgrounds, in sites throughout California, to ask how evolutionary history and personal experience with a predator impacts anti-predator behavior. 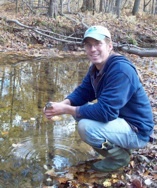 Dave is interested in evolutionary ecology, especially in aquatic environments. 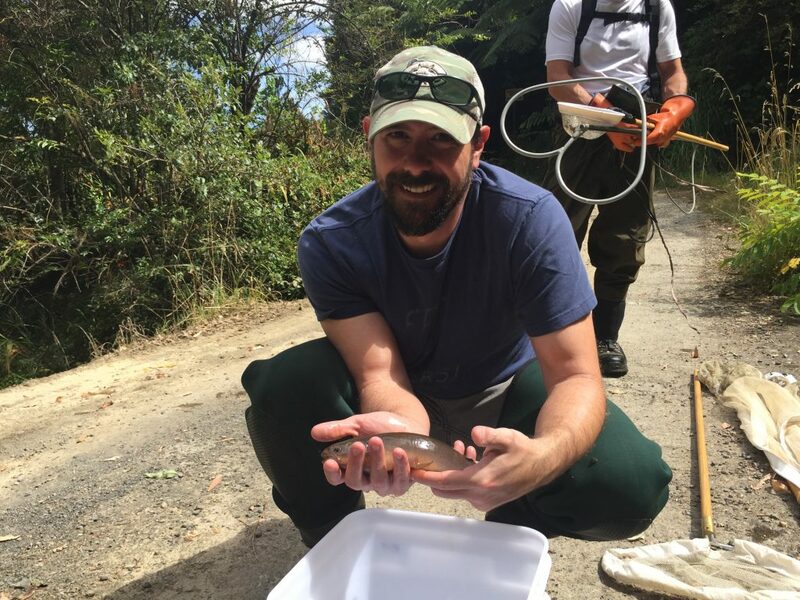 He has been focusing on the ecological consequences of contemporary thermal adaptation in fishes, using recently invaded mosquitofish populations in geothermal springs as a model system. My postdoctoral research was focused on a topic that has long been of interest to scientists, fishers, and Alaskans: Alaska salmon seem to be maturing at younger ages and smaller sizes. As part of an NCEAS working group investigating changes in size- and age-at-maturity in Alaska salmon, we examined 1) how consistent declines in size and age are across species and regions, 2) the causes of these declines, and ultimately 3) the ecological, social, cultural, and economic consequences of size declines. Prospective graduate students and postdocs: Please send me a CV and description of your research interests. Prospective graduate students please include your GPA, GRE scores, list of professional references, and relevant courses you have taken. Describe your research experience, especially thesis projects and work that has resulted in authorship of peer-reviewed publications. Please also provide a written description of what types of questions, methods, and study systems you would like to investigate. Clearly indicate what aspects of my research program interest you. Prospective graduate students, new GAANN Fellowships available the top applicants from underrepresented backgrounds. Prospective postdocs, check out the University of California President’s Postdoctoral Fellowship. Prospective undergraduate students: Please contact me if you are interested in undergraduate research opportunities. We are looking for motivated students to help with field sampling and ecological experiments. Potential REU funding available.